Home Best Baby Products Bob Revolution Flex Vs Pro: How To Choose The Bob Stroller? there could be some concern that a baby means putting an end to the trail running, walking or jogging excursions. Not True! comparing the BOB Revolution FLEX vs PRO may lead you to believe they are the same since they share many excellent features. However, there are some key differences to weigh in the balance and each has its own specialty. Both BOB Revolution strollers are top-of-the line, well-reviewed and great for both urban and rural use. They are both beautifully designed, durable strollers; aside from their name, what is the difference? The primary structural difference between these two models is the PRO is designed with a handbrake on the handlebar, while the FLEX does not. On a much more minor note, the FLEX is about 2 inches shorter than its counterpart and weighs 2 pounds less. Additionally, the front wheel of the PRO model allows for a tool-less quick release, while the FLEX model requires an Allen Wrench when replacing a tire. Design differences between the two models are slight, but handy. The FLEX 3.0 model has an expanded canopy that has nice ventilation and a magnetic peek and chat window. The PRO has a nicely-sized canopy as well, but the material doesn’t allow for as good a ventilation flow and there is no window for the driver to see the child(ren) who are riding. A final difference in aesthetic is that the FLEX has more storage space, including a cell phone pocket, which the PRO model doesn’t offer. 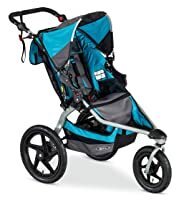 The BOB Revolution PRO stroller can be purchased as a single or double stroller (known as a DUALLIE) and is great for anyone looking to be outdoors. 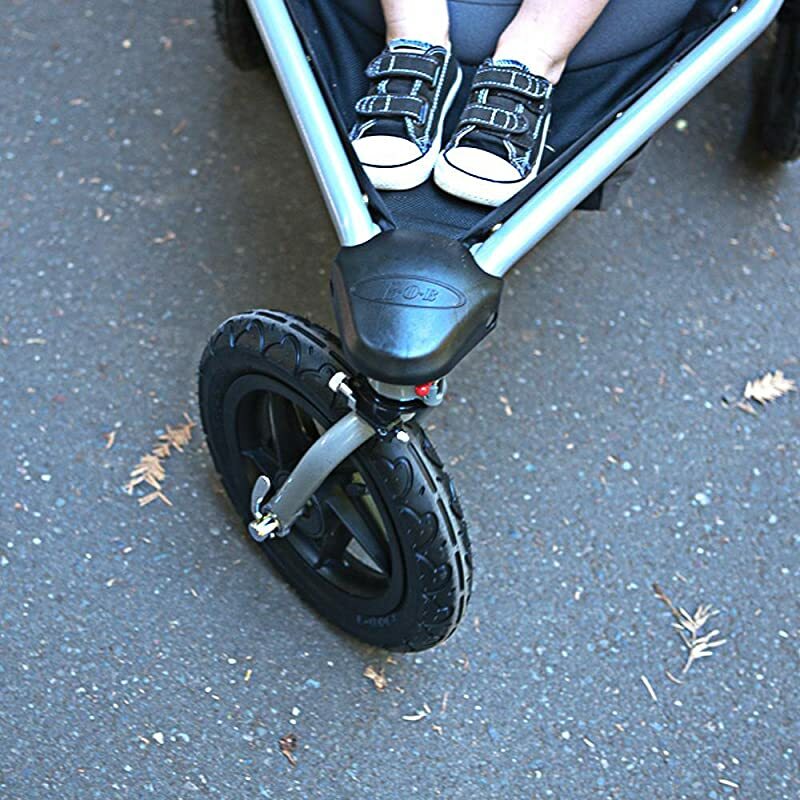 The adjustable suspension provides a smooth ride for your little one and is one of the most thoughtful features of this model; it makes this an excellent ride regardless of the terrain. Babies starting at 4 months old can be pushed in the PRO model provided that you have the car seat extension. surprisingly, it has a lightweight frame and an easy 2-step folding process that allows you to take this anywhere. The PRO model doesn’t just suffice, it came to play hard – weighing nearly 20 pounds LESS than competing brands. For runners, walkers, and all those in-between, the PRO model has a number of high-end features that make your life easy. One of most versatile features is the padded handlebar that has 9 different height settings. Additionally, the PRO comes with a hand brake on the handlebar to allow for easy braking when going downhill. 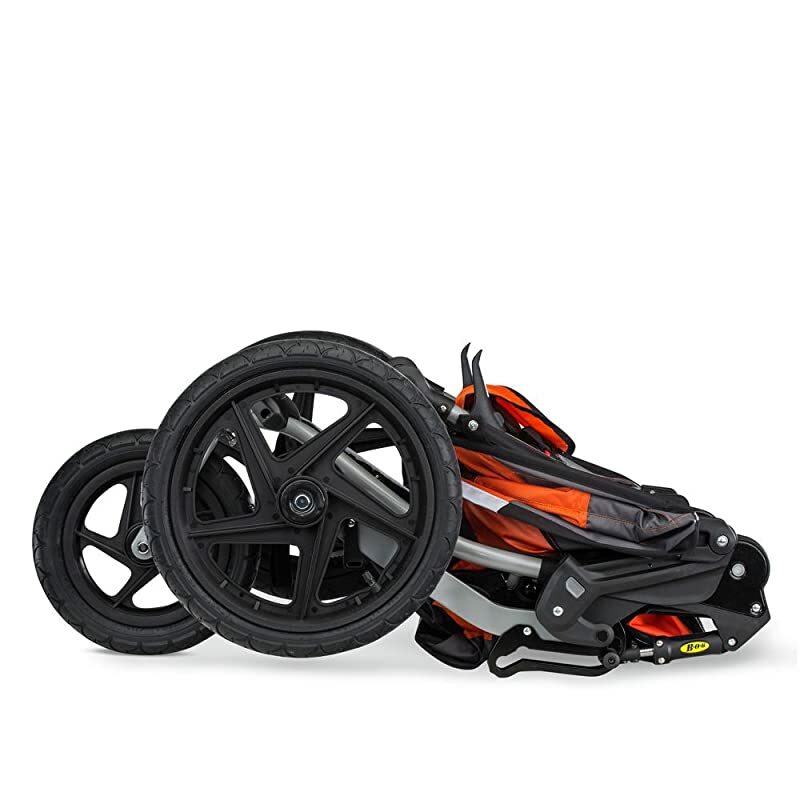 Another feature worth noting is the swiveling front wheel that can also be locked into a straight position depending on the terrain. 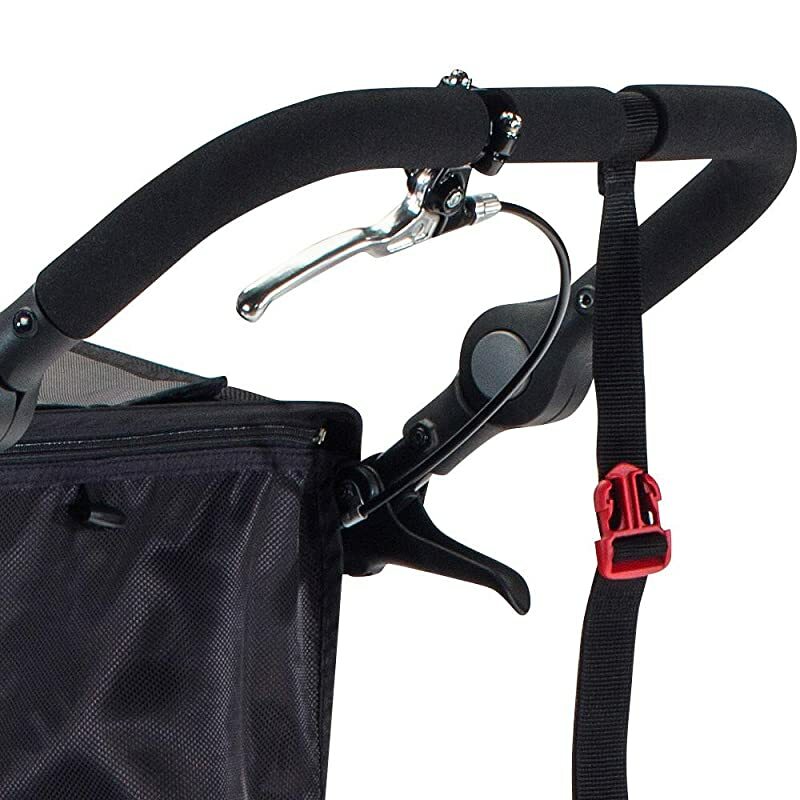 Lastly, the inclusion of a jogging strap prevents the stroller from straying too far away from you. The BOB Revolution FLEX has a little bit of appeal for everyone. there are an additional 3 color and pattern options that elevate the ride for your child and yourself. Beyond just looking good, the FLEX is sure to give your little one a ride that feels good. This model is designed with an excellent suspension system that follows the style of suspension used in mountain bikes. The seat itself is adjustable to a nearly flat recline and is well padded. Your little one up to 70 pounds will be guaranteed a smooth ride. Features that endear the FLEX model to parents and caretakers alike are many. 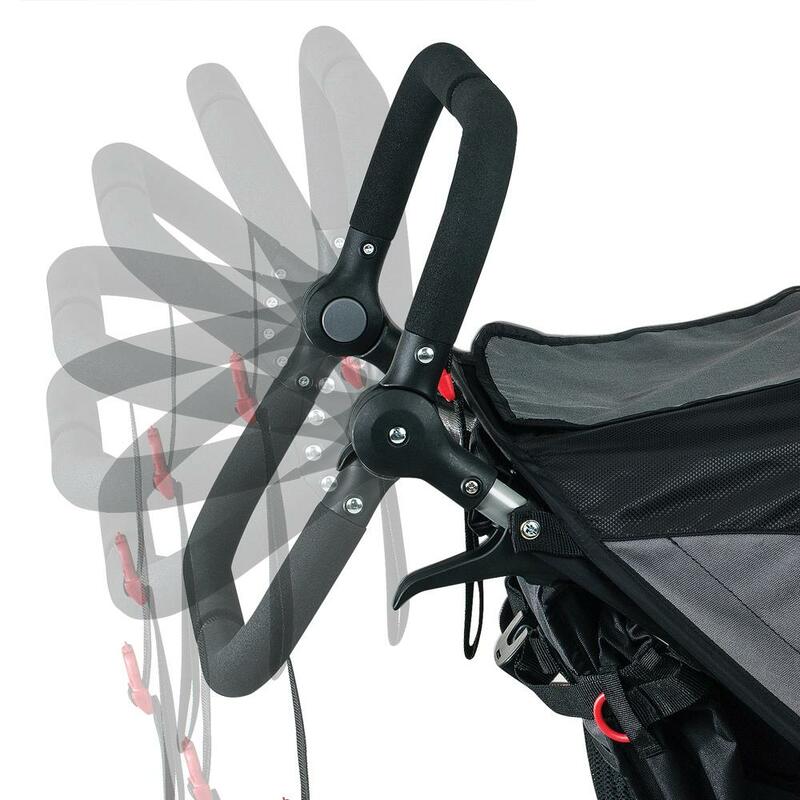 Like the PRO model, the FLEX come in both single and double (DUALLIE) versions and it has a padded handlebar that locks into 9 different positions to accommodate anyone who is pushing the stroller. The front wheel also swivels and can lock into a forward-facing position depending on the terrain. Like the PRO, this model also has a wrist strap to keep the stroller from straying too far out of arms’ length. Features that are unique to this FLEX model (some of which are part of the 3.0 version) include 6 extra storage pockets including one that is designed for your cell phone. It also has an extra-large canopy coverage that is well-ventilated, UPF 50+ and which has a magnetic peek and chat window for you to monitor and converse with your little passenger. The canopy is water resistant in case of accidental showers and the FLEX comes with a flip-flop friendly brake. Now comes the hard question . . . faced with two excellent options, how do you choose the best BOB stroller? First, consider where you live and what activity you normally do or plan to do with your child(ren) and the stroller. 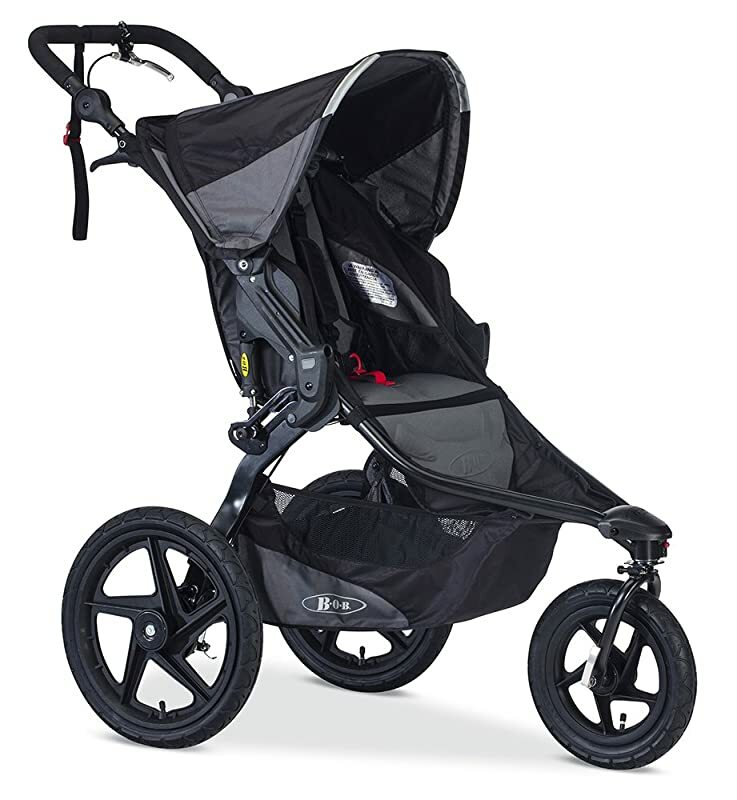 Do you use strollers on pavement, on trails, is it really hot where you live? These types of questions will help you narrow down what features you should be looking for in your stroller. The PRO version is best for trail running, if you have lots of downhill areas, if you are planning on purchasing the DUALLIE version, or if the weather isn’t a concern. It’s a heavy-duty, hard player and the handbrake alone is a feature that sets this up as one of the best options for a jogging stroller. For local, suburban, and indoor activities (e.g. lots of mall shopping), the FLEX version is a good selection. Additionally, the FLEX 3.0 comes with a well-ventilated canopy. If you are in an area where the weather tends to be warm or hot most of the year, you will want to take that into consideration. if they tend to sleep while you run, or if they like talking to you, the FLEX offers a peek and chat window and has a nice reclining seat. You should also be aware of the potential weaknesses of different models when you are making a purchasing decision. Choosing between the BOB Revolution FLEX vs PRO can often come down to what the models cannot do, just as much as what they can do. The FLEX wheels are not as high of a quality as the PRO, nor can they be removed without using a tool. If you are planning on being outside a lot and are using this on terrain that may not be smooth like pavement or flooring, consider the PRO the better option of the two. Comparing the BOB Revolution FLEX vs PRO comes down to little details. Making the choice of which one is best for you and your little one depends on where you normally run and which features you rely on to make the most of your time. In the end, both are strong contenders and you can’t really go wrong either way. From handbrakes to magnetic chat windows, the BOB strollers are leading models for a reason. Photo & Video credits: Amazon, Fatherly, The Baby Cubby.